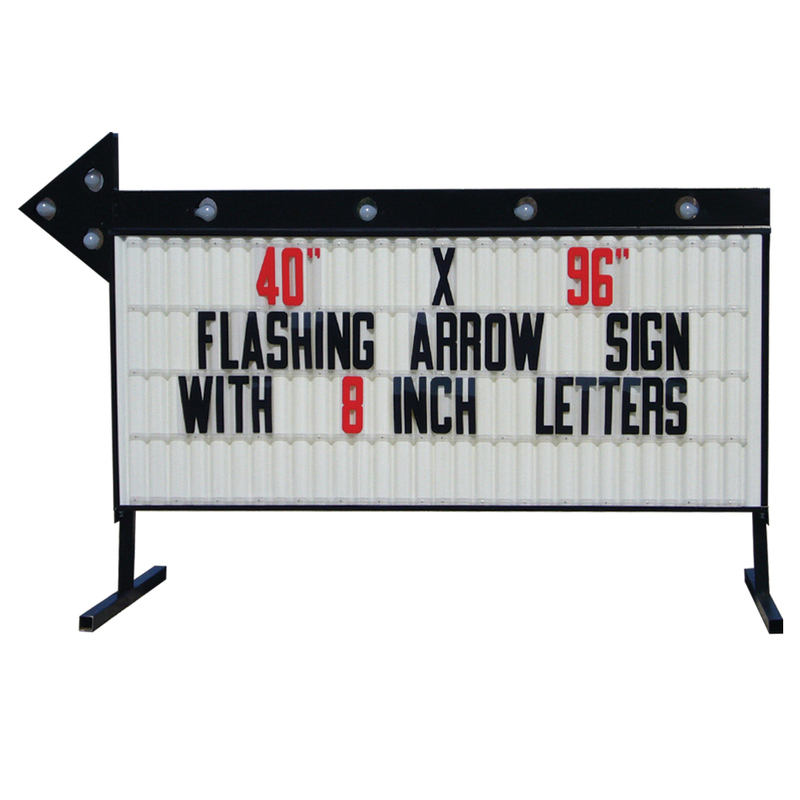 Double-sided roadside signs attract people to your store or location. Comes with 176 piece 8 in. letter and number kit to create 4 lines of changeable message. If you need extra letters, the 300 piece kit #9414 is available to purchase separately.